Mammoth Screen is producing Malorie Blackman’s enthralling story of first love in a dangerous fictional dystopia for BBC One. 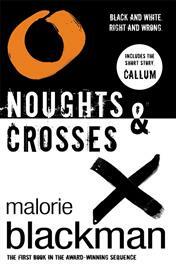 Based on the first book in the Noughts and Crosses series for young adults, the drama series will be written by Levi David Addai (My Murder, Youngers) with Matthew Graham (Life on Mars, Ashes to Ashes). Divided by their colour but united by forbidden love and burning injustice, Sephy and Callum are fighting for more than simply the right to be together, in a State where strict race laws make daily existence a matter of life and death. Sephy is a ‘Cross’ and the daughter of a prominent politician; Callum is a ‘Nought’, a white member of the underclass who were once slaves to the Crosses. The two have been friends since early childhood but that’s as far as it can go, for Noughts and Crosses must never fall in love. Against a background of prejudice, distrust and powerful rebellion mounting on the streets, a passionate romance builds between Sephy and Callum which will lead them both into terrible danger. The executive producers for Mammoth Screen are Preethi Mavahalli and Managing Director Damien Timmer.